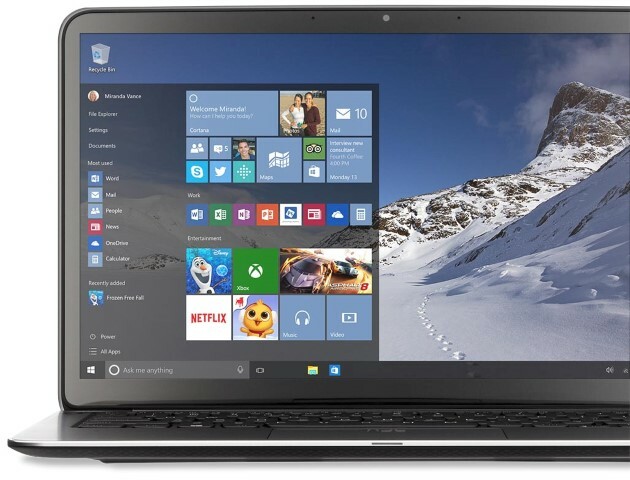 For the long answer, visit PCWorld’s in-depth Windows 10 review. But here’s the short version. Windows 10 is a free upgrade for current Windows 7 and Windows 8 users upgrading before July 29 of next year, 2016. After this, the upgrade will cost $119. Once you install Windows 10, you’ll keep getting updates through 2025 with no subscription fees or the like. If you have questions, let us know. We offer free advice, plus we can help with the upgrade or any issues that may arise. 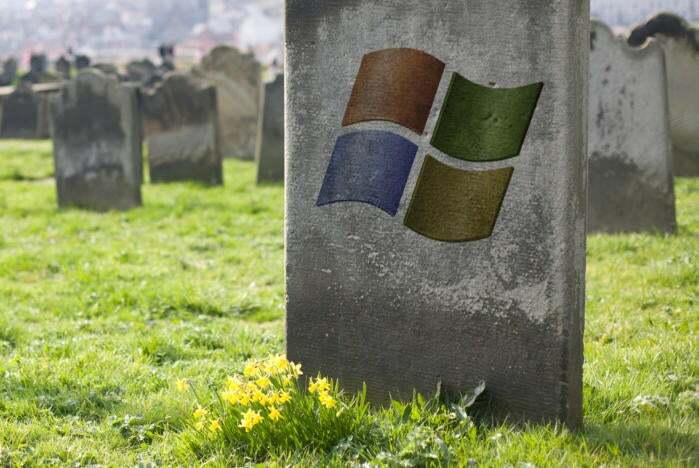 It’s time to upgrade to a newer operating system if you’re still using an Internet-connected Windows XP machine, as XP no longer receives critical security updates from Microsoft. Unfortunately, Windows XP users can’t get a free upgrade, and it’s very likely that the old hardware will not be compatible with Windows 10. Our recommendation: Buy a new Windows 10 machine or a slightly older Windows 8 computer. Some users who don’t want to upgrade have opted for a safer, cheaper alternative, a user-friendly Linux distribution that will work with your current PC. Also, remember that Office 2003 will be incompatible with Windows 8 or Windows 10. Windows 10 is a definite improvement over Windows Vista, but the upgrade won’t be free. A fully updated & patched Vista PC works reasonably well, and will continue to receive security updates from Microsoft through April 2017. If I still owned a Vista-based PC, I would likely upgrade to a Windows 10 laptop or desktop, or I might save a few bucks and get a new Windows 8 since prices are fairly reasonable. Make sure your computer meets Windows 10’s hardware requirements if you decide to upgrade an existing Vista PC. When Windows 8 launched, many tech bloggers advised against the upgrade, if you were happy with Windows 7. Windows 8’s lack of a start menu button and attempt to push tablet style apps to your PC was confusing and befuddling at best. Windows 8.1 fixed many of the most frustrating issues, but now many critics are saying Windows 10 is a masterful blend of the best features of both Windows 7 and 8. The start button has returned to Windows 10 by popular demand (and should have never disappeared in most people’s opinion). So the user interface will seem familiar to long-time Windows 7 users. Windows 10 Start Menu Returns! Though Windows 10 still includes Windows 8’s contentious Metro apps and Microsoft services, it still carries over Windows 8’s under-the-hood improvements: lightning-fast boot times, pooled Storage Spaces, networking improvements, a much-improved Task Manager, OneDrive syncing that carries your preferences from PC to PC, etc. The list of benefits goes on, but now without the odd Start screen, full-screen Metro apps, and their confusing (un)functionality. There are also new features like the Cortana personal assistant, virtual desktops, and the performance-enhancing DirectX 12 graphics API, which seeks to supercharge future generations of games. With all the new features, and the low price of free, we think it’s safe to move on from faithful Windows 7. There is caveat that you might consider if you’re a heavy Windows Media Center user. Windows 10 doesn’t support or include WMC, even if you upgrade from a system that already has it installed. If you upgrade from a version of Windows with WMC installed, Microsoft will at least provide you with some alternative source of DVD playback later this year. In the interim, VLC is free and a great option. Also, if you’re a current or future Xbox One user, it has replaced WMC in the living room as far as Microsoft’s concerned, and it is upgrading to Windows 10 anyway. Yes. Go ahead and upgrade. Reserve your download here. There is no reason not to, unless you’ve purchased Windows 8’s optional Windows Media Center add-on pack and don’t want to lose access to that software. Check out the full Windows 10 system requirements and important notes below from Microsoft’s website. These are for a pre-released version of Windows 10 and are subject to change. Windows 10 Upgrade Offer is valid for qualified Windows 7 and Windows 8.1 devices, including devices you already own. Some hardware/software requirements apply and feature availability may vary by device and market. The availability of Windows 10 upgrade for Windows Phone 8.1 devices may vary by OEM, mobile operator or carrier. Devices must be connected to the internet and have Windows Update enabled. Windows 7 SP1 and Windows 8.1 Update required. Some editions are excluded: Windows 7 Enterprise, Windows 8/8.1 Enterprise, and Windows RT/RT 8.1. Active Software Assurance customers in volume licensing have the benefit to upgrade to Windows 10 enterprise offerings outside of this offer. To check for compatibility and other important installation information, visit your device manufacturer’s website . Windows 10 is automatically updated. Additional requirements may apply over time for updates. See the Windows 10 How to Upgrade page for details.